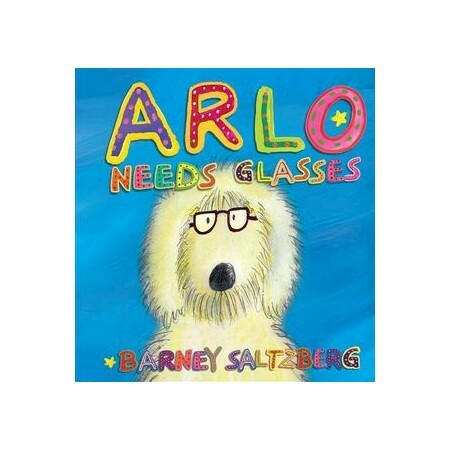 In this inventive, interactive picture book created by Barney Saltzberg, the bespectacled author of Beautiful Oops!, who charms young readers and their parents with a perfect light touch and joyful spirit, kids get to do just what Arlo does to solve his problem. They read an eye chart, look through a fold-out phoropter (that big machine optometrists use), and try on different pairs of glasses-movie star glasses! superhero glasses! mad scientist glasses! And they interact with Arlo as he rediscovers how to be the best ball-catcher in the neighborhood and picks up a new favorite pastime along the way-reading! One out of five school-age children needs glasses. Arlo will show them just how lucky they are. Barney Saltzberg is the bespectacled author and illustrator of Beautiful Oops!, Good Egg, Peekaboo Kisses, and many other bestselling books for children.